S800 I/O is a comprehensive, distributed and modular process I/O system that communicates with parent controllers and PLCs over industry-standard field buses. 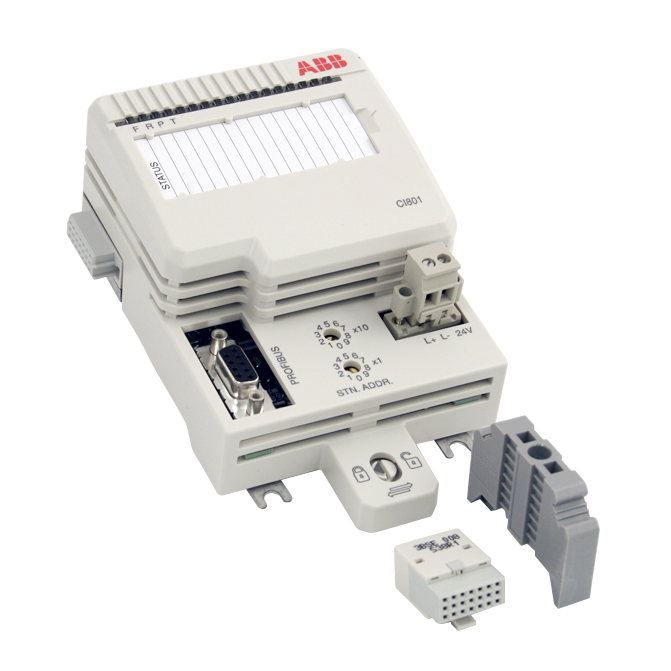 The CI801 Fieldbus Communication Interface (FCI) module is a configurable communication interface that performs operations such as signal processing, gathering of supervision information, OSP handling, Hot Configuration InRun, HART pass-trough and configuration of I/O modules. The FCI connects to the controller through of the PROFIBUS-DPV1 fieldbus. PROFIBUS DP PROFIBUS-DPV1 fieldbus interface.